County Expenditures by Year, by Vendor - Now Online! 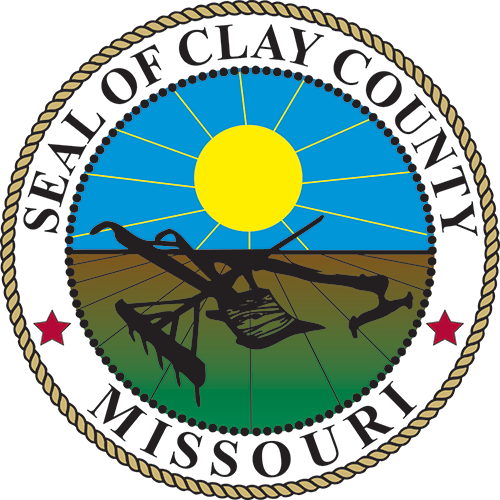 The Clay County Commission partners with the Show-Me Institute's #MOTransparency initiative to give readers county expenditures from each year, starting in 2013 leading to 2017. It's the County's goal to continue to expand online access to how your tax dollars are spent. If you have ideas or examples you'd like to share, please send them to our Public Services Specialist team. Per Clay County Resolution 2017-64, the County Administrator is the Custodian of Records in accordance with RSMO Section 610.023. Individuals requesting records under RSMO Section 610 are advised to do so by filling out a records request form, and providing the form with complete and valid contact information, signed and dated, to the Administrative Receptionist (3rd floor Administrative Building, 1 Courthouse Square, Liberty, Missouri 64068), or by mail to: Clay County Administrator, Attn: Records Requests, 1 Courthouse Square, Liberty, Missouri 64068. All Official Commission Meeting Action items can now be found in one location. Approved meeting minutes will be posted with each meeting. Go to www.claycountymo.gov/publicmeetings and select the meeting date you wish to see minutes for. This will pull up a new window. Select "minutes" - this will pull up the approved minutes for that meeting.